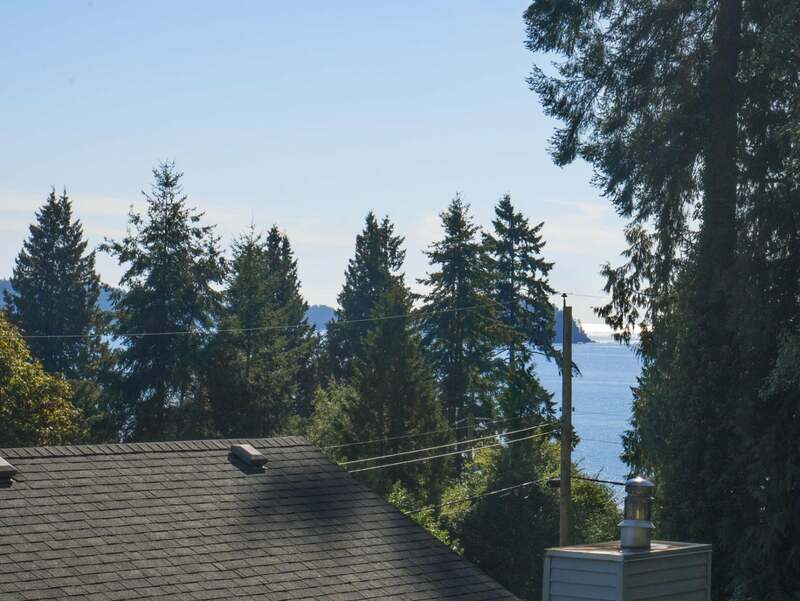 672 Gower Point Road is a cute cabin in the Bay area of Gibsons! 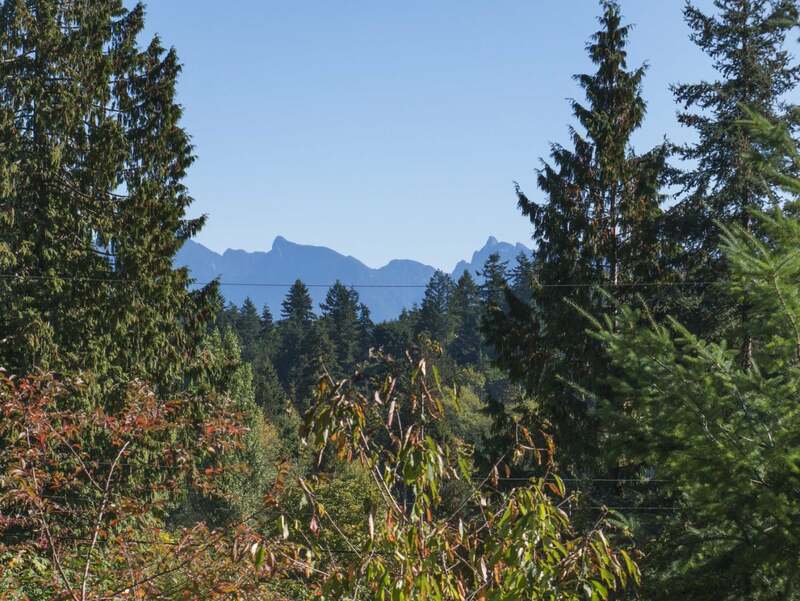 You’re just down the street from Atlee and Pebbles Beaches and a short 5-minute walk from the Gibsons Public Market as well as the shops and restaurants of Lower Gibsons. 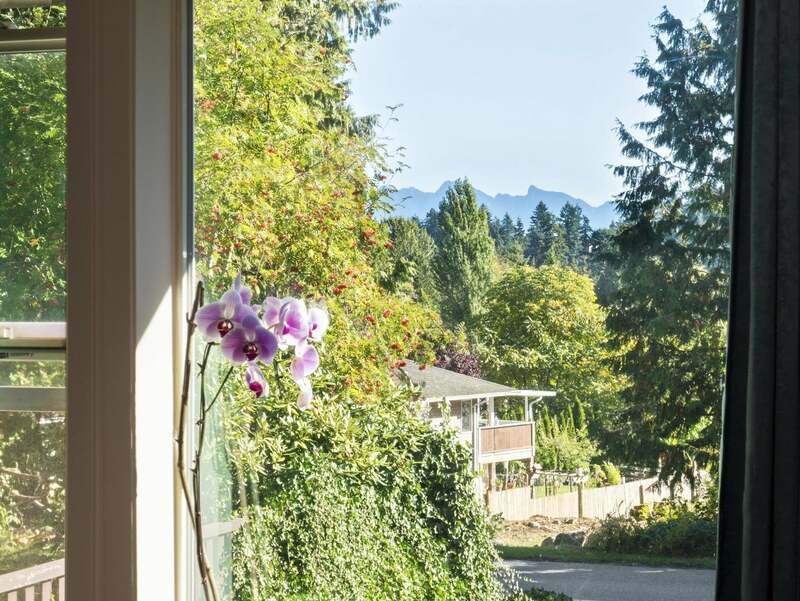 This is the perfect starter home to get you into the market! 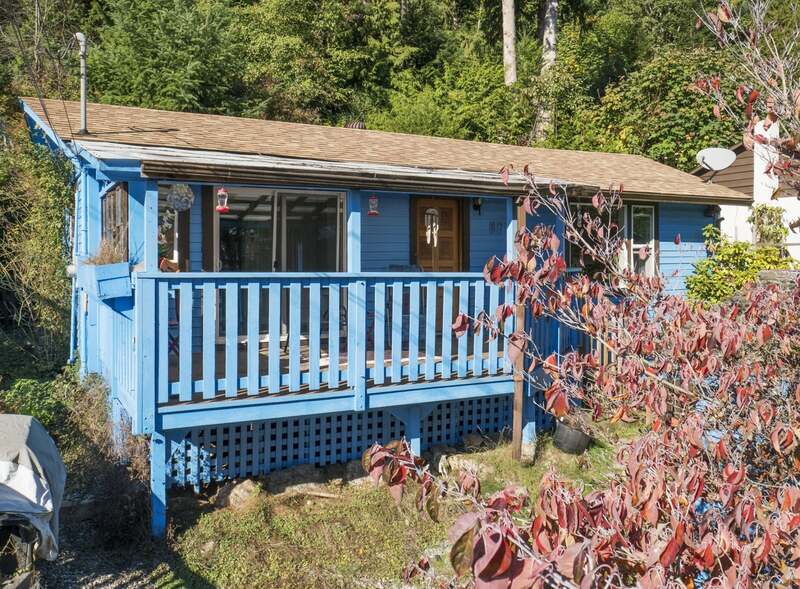 If you’re investment minded, you could rent it out with an eye on eventually replacing the current cabin with something new down the road. 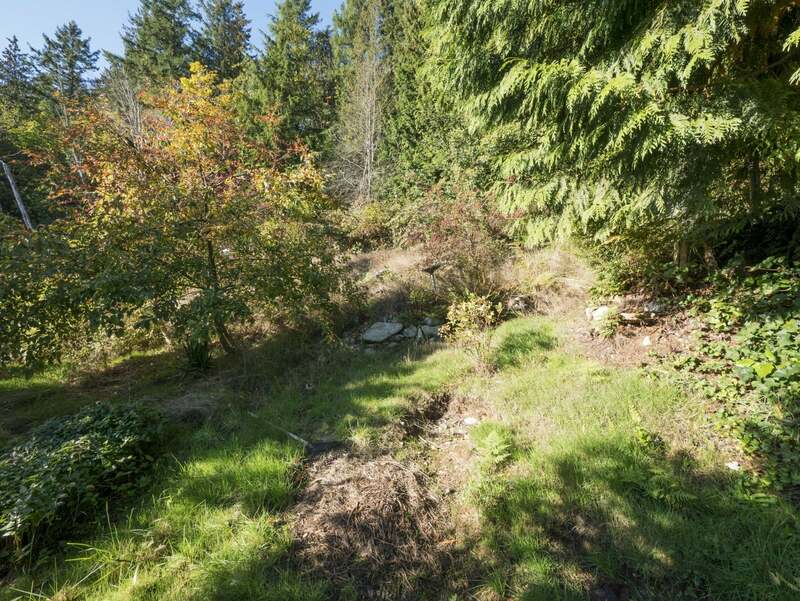 There’s view potential from the rear of the property. 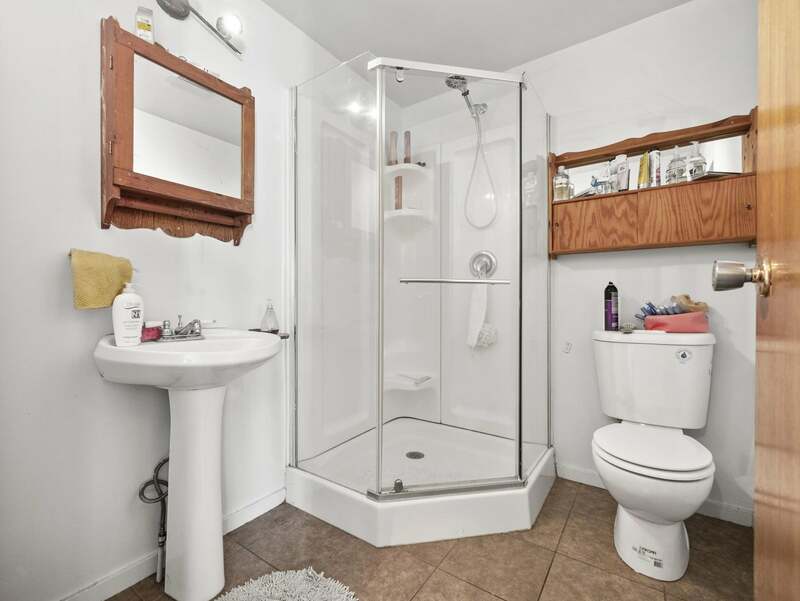 There’s a foyer at the front door and immediately in front of us is the three-piece washroom with tile floors and a shower with a glass door. 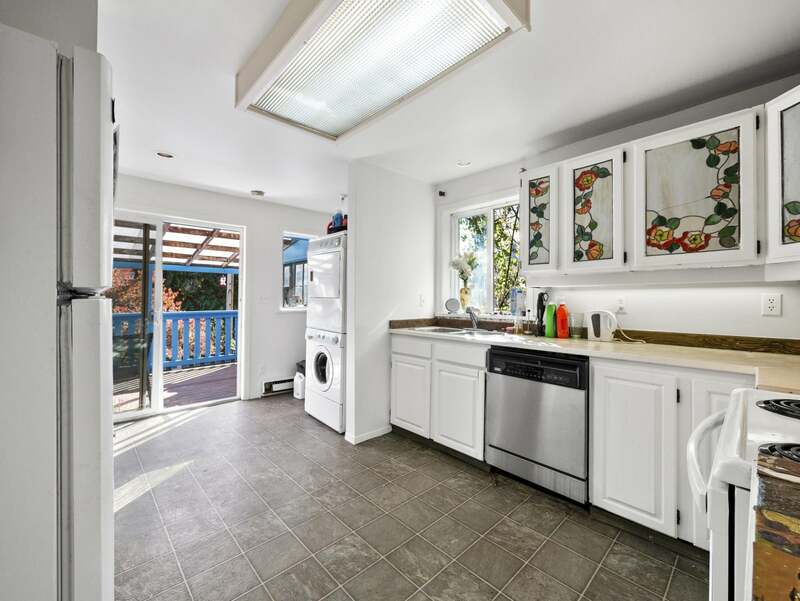 To our left is the eat-in kitchen and sliding doors that lead to the covered deck. 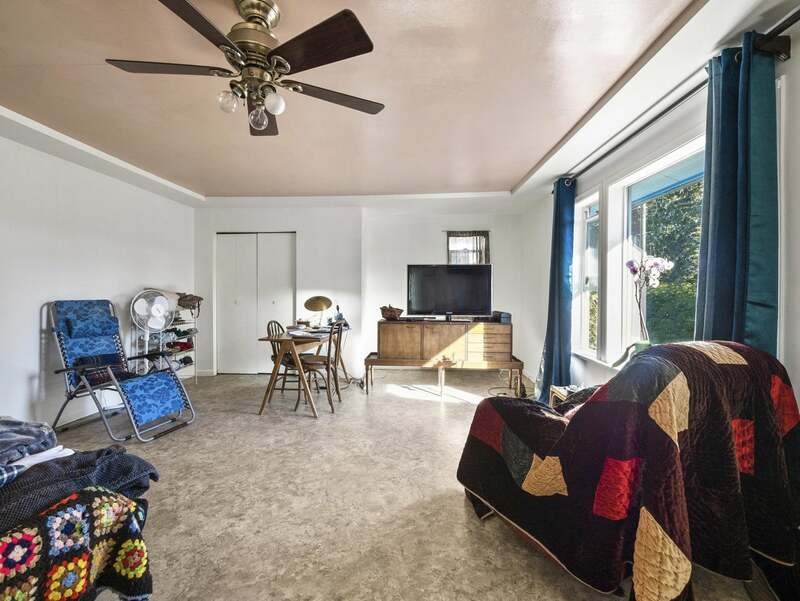 This is a fun space that overlooks the front yard and provides you with some additional living space. 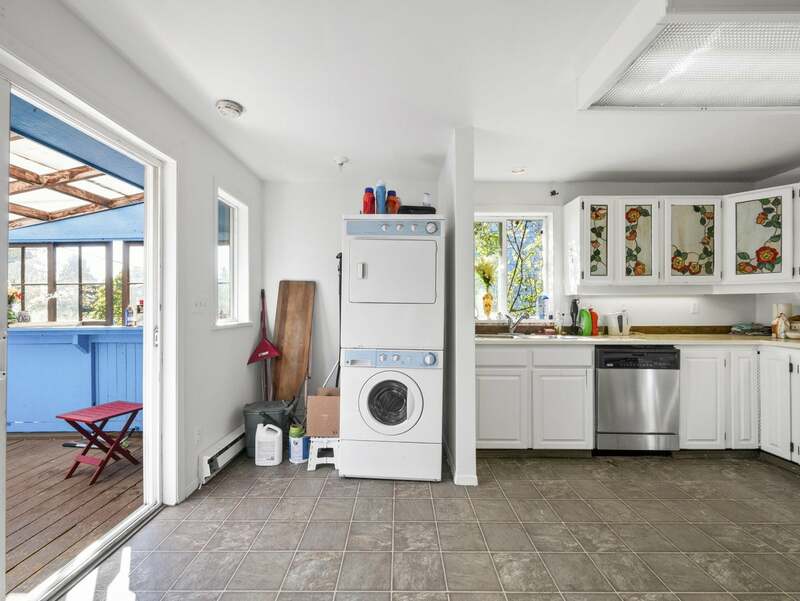 Back inside, we get a better look at the kitchen and its five appliances, including a front-loading washer and dryer. 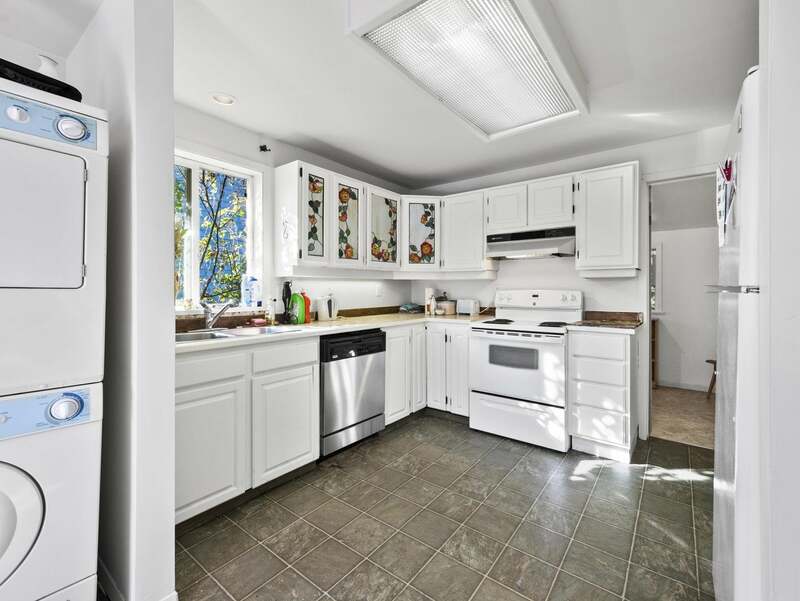 It’s cute and bright white with lots of counter and cabinet space. A door at the rear leads to the first of two bedrooms. This is a cozy space with backyard-facing window. On the right is a second door that leads to an imagination space. 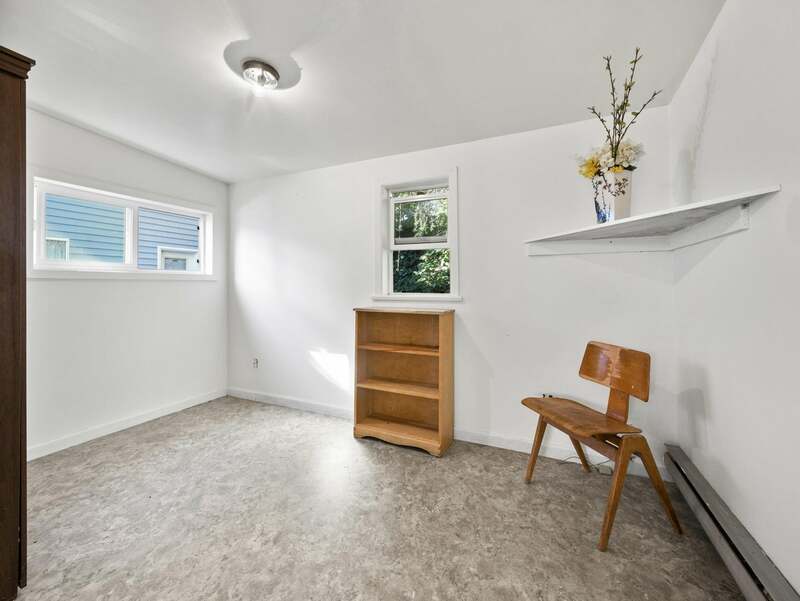 Use this bonus room as a nursery, a small office, or as a shared walk-in closet for both bedrooms. 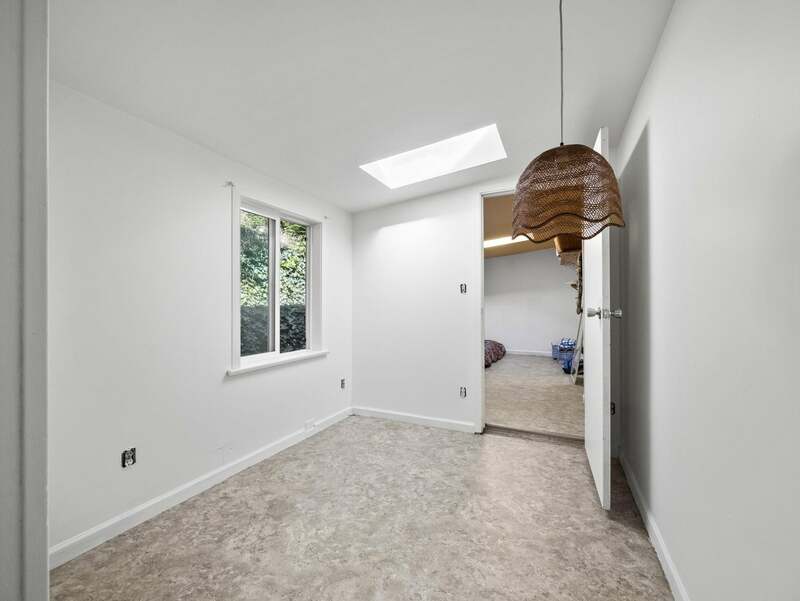 The master bedroom has a skylight as well as a large window that looks to the backyard. Turning right, we find a second door that provides access to the living room. 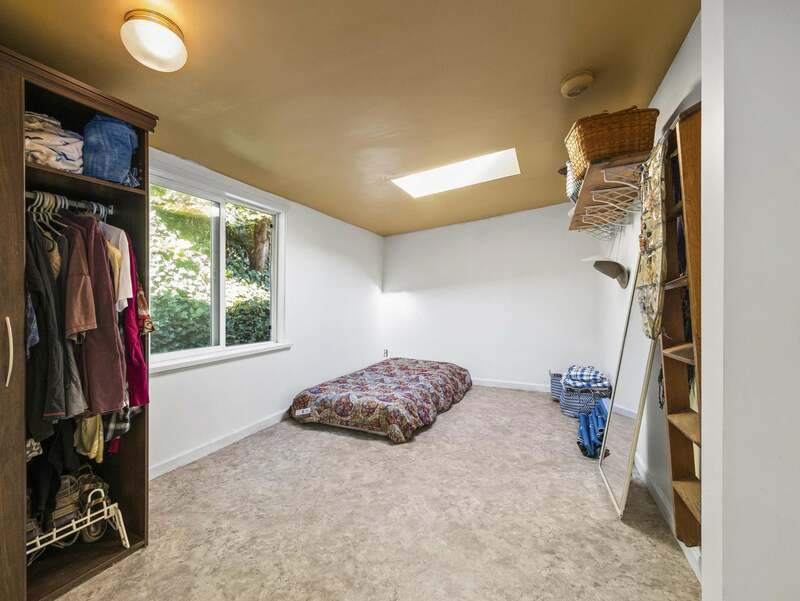 This is a good-sized space with a linen closet, a ceiling fan, and a front-facing window. To our right is the foyer where we started our tour. 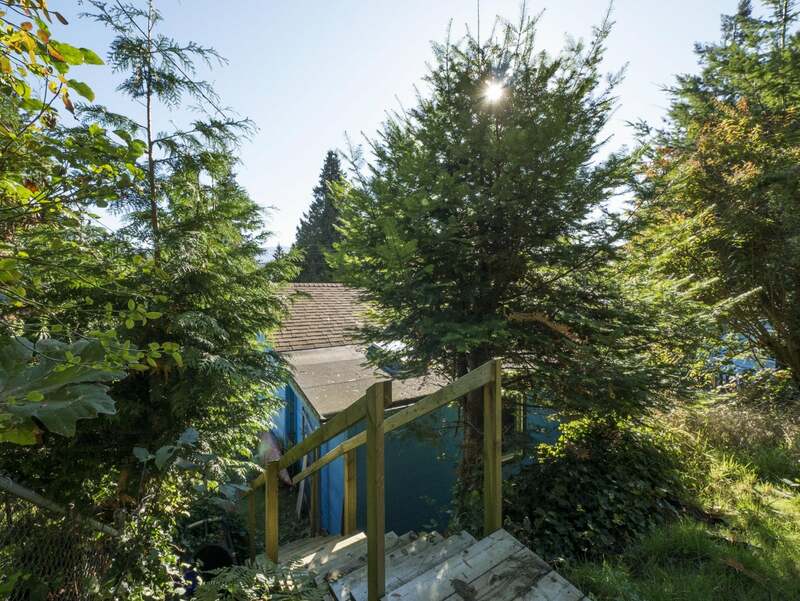 Returning outside, we walk around the side of the house and climb a flight of steps that lead to the tiered backyard. 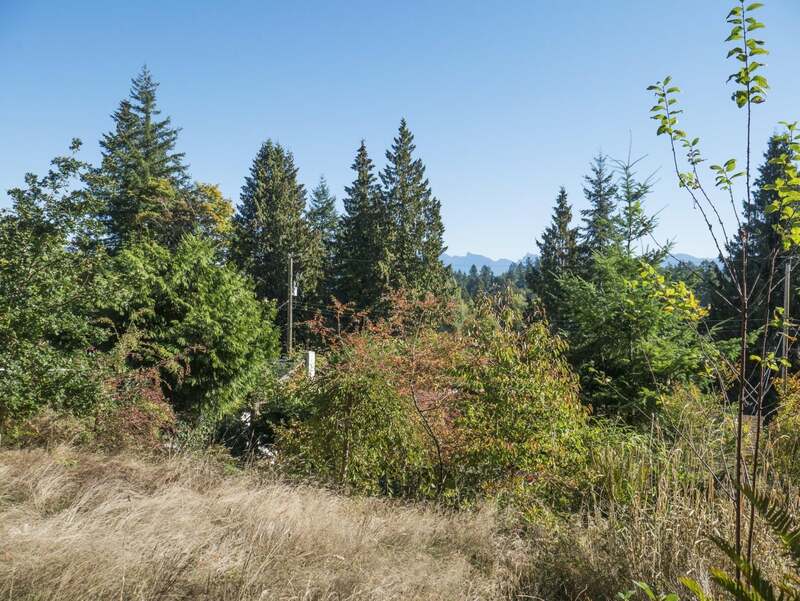 There’s view potential from the top of the lot should you decide to build a new home in the future. Lots of options with this one! 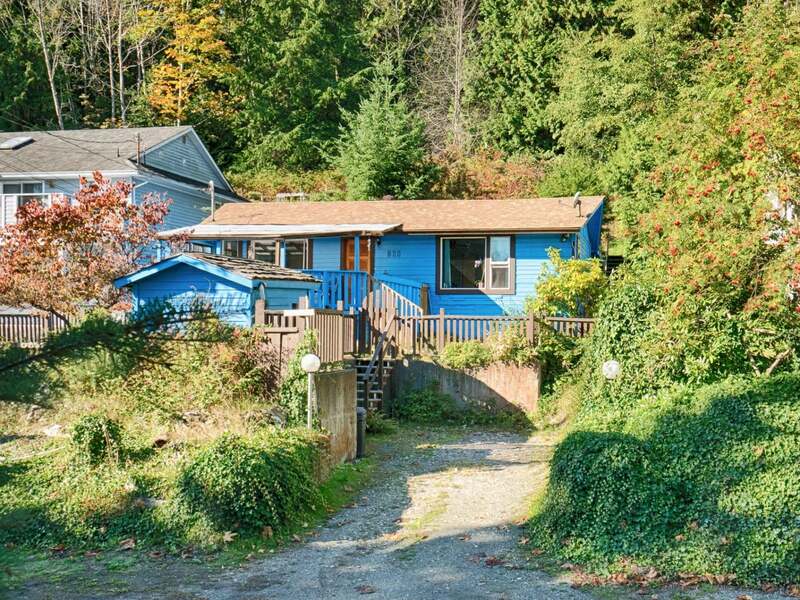 It’s a great starter home for a couple or a small family or an excellent holding property for a savvy investor that’s looking for a great spot on which to build a future home. 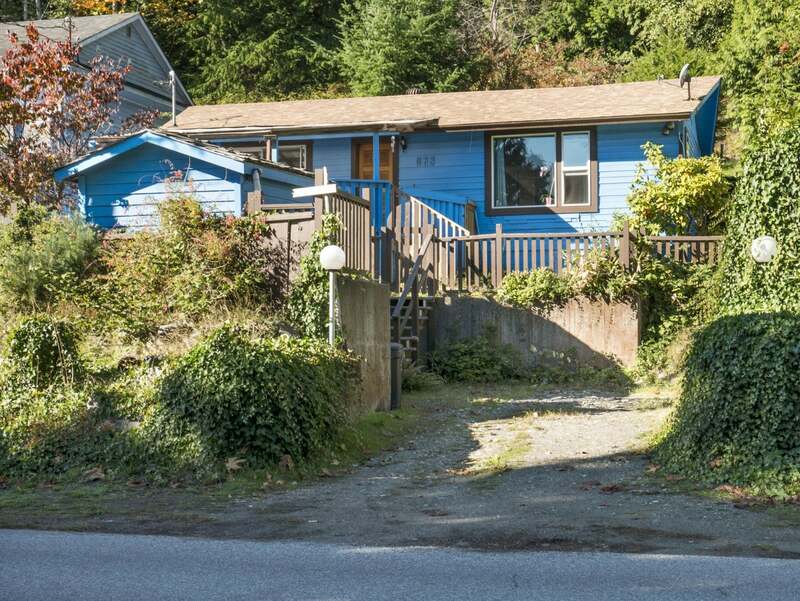 672 Gower Point Road is packed with potential and priced to sell. 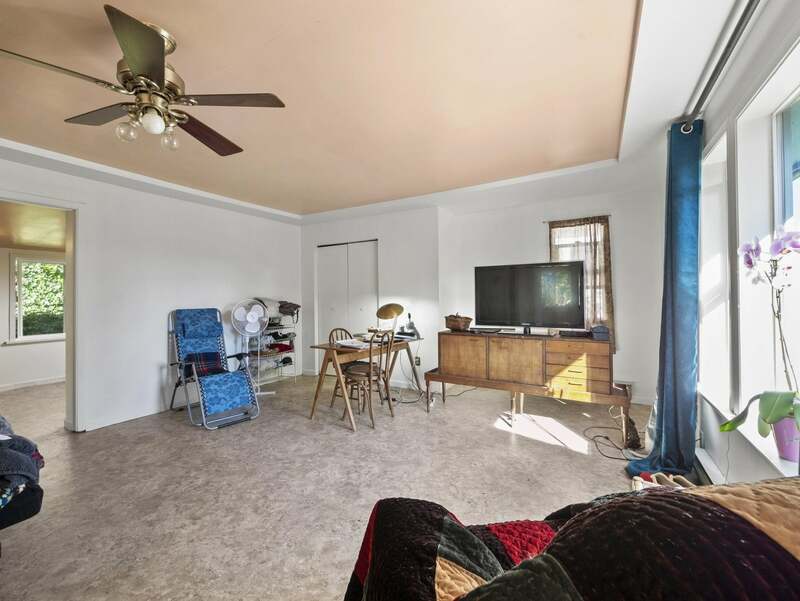 Don’t wait – Call Tony for you info pack today! Lot Size 6260 Sq. Ft. 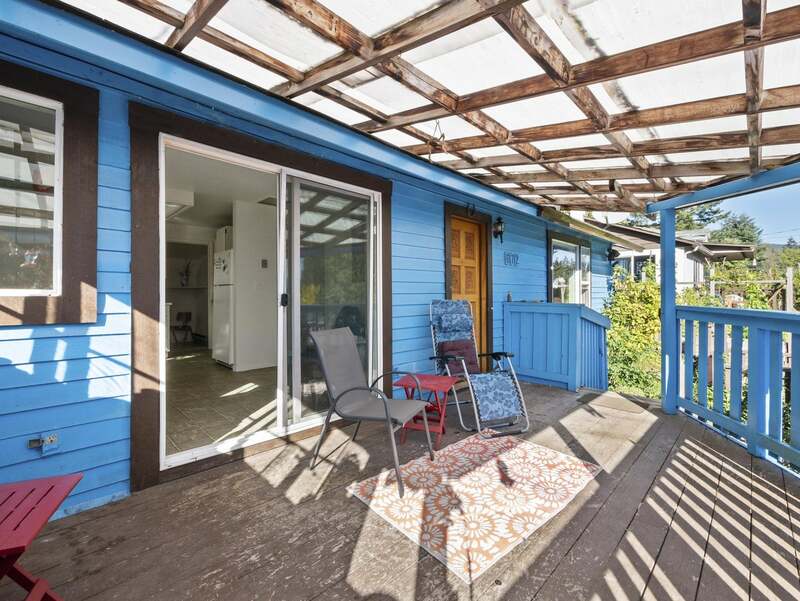 Please send me more information on 672 Gower Point Road, Sunshine Coast. Thank you.